IndiGo is providing digital solutions to everyday problems, attracting customers to digital platforms and engaging start-ups to find solutions. Recently, IndiGo, the country’s largest airline, inducted its first A321neo plane. A bigger version of its workhorse, the A320neo, it has 222 seats against the former’s 186. For the airline, used to selling a uniform seating layout plan, it also meant a sudden change in the aircraft model resulted in an unexpected problem over boarding and a public relations one. IndiGo found the solution in a US-based start-up, Volantio. The company helps airlines preventively rejig inventory by offering buyouts to flexible passengers. Through Volantio, the airline tries to identify and reward passengers who are willing to budge a little on their flight itineraries, voluntarily giving up their seat. Digital solutions to everyday problems, attracting customers to digital platforms and engaging start-ups to find solutions. In sum, technology is at the heart of IndiGo’s plan as it aims to transform itself from a domestic behemoth to a global player. “The airline is making a concerted effort towards a digital transformation. It is scaling up in size, acquiring thousands of new passengers every day and also increasing its global footprint. It needs to be future-ready,” said an airline official, aware of the plans. The airline deployed its 200th aircraft last month, the first for an Indian carrier. The plan is to grow at 30 per cent annually, higher than market growth. 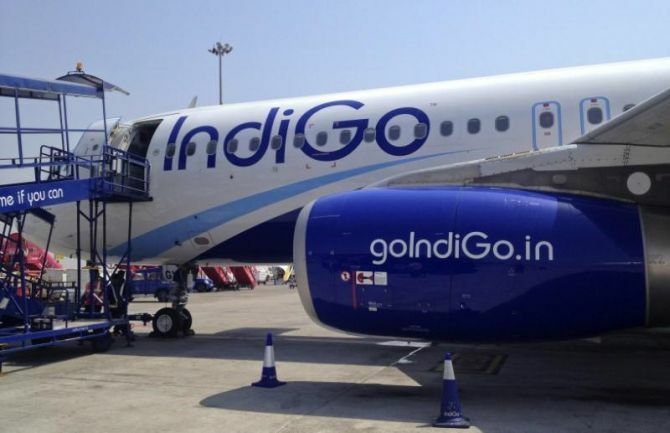 As part of the plan, IndiGo has developed an in-house team focused on digital strategy. To lead the transformation, it hired Sourav Sinha as chief information officer and Nitin Sethi as vice-president, digital. “Both positions have been created for the first time and signal a change the way the firm is thinking. More of the technological work is now being done internally, rather than outsourcing,” the person said. Sethi has served as head of product design at Quikr, an online classified platform. He has been mandated to build customer-friendly digital touchpoints. In a previous interview, Sethi said his primary focus would be to change the airline booking application, using Progressive Web App and Natural Language Processing. Both these are computer programs which help to engage with customers in a better manner. “Sethi has a lot of experience of working on the product side of world-class digital companies like Yatra, Naukri and 99Acres. His expertise will help to revamp the digital consumer product,” a company official said. One of his first projects has been to redesign their website. “We noticed a lot of our bookings from even tier-2 and tier-3 cities were coming through the mobile platform. Hence, we decided to give our website a little makeover, so that it becomes much more mobile-friendly,” says chief commercial officer Willy Boulter. The focus of their technology innovation, he says, would be to keep it simple and passenger-friendly. In India, the next set of growth is coming from tier-2 and tier-3 cities. “The focus will be to create simple-to-use and intuitive platforms. Whether it’s getting boarding passes on the mobile or something else, it will always be about putting the passenger in control of their journey,” Boulter said. Indian airlines have always believed in being asset-light; investment in technology has been a low priority. However, the magnitude of the business is forcing IndiGo, a cost-conscious airline, to count it as part of doing business. “It is very true that many Indian airlines are reluctant to invest in cutting-edge technologies that push beyond the boundaries of standard tools. "IndiGo has been the exception. They were very willing and excited - after they did their homework - to partner with Volantio. "Ultimately, their passengers will be the beneficiaries of this forward-thinking mentality,” said Azim Barodawala, chief executive at Volantio, who got IndiGo as his first customer in India. Want to buy Life insurance and Term plan?